Hydrographic measurements were collected on nine offshore reef platforms in the eastern Red Sea shelf region, north of Jeddah, Saudi Arabia. 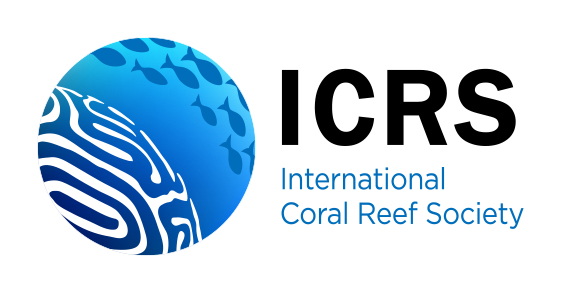 The data were analyzed for spatial and temporal patterns of temperature variation, and a simple heat budget analysis was performed with the goal of advancing our understanding of the physical processes that control temperature variability on the reef. In 2009 and 2010, temperature variability on Red Sea reef platforms was dominated by diurnal variability. The daily temperature range on the reefs, at times, exceeded 5°C—as large as the annual range of water temperature on the shelf. Additionally, our observations reveal the proximity of distinct thermal microclimates within the bounds of one reef platform. Circulation on the reef flat is largely wave driven. The greatest diurnal variation in water temperature occurs in the center of larger reef flats and on reefs protected from direct wave forcing, while smaller knolls or sites on the edges of the reef flat tend to experience less diurnal temperature variability. 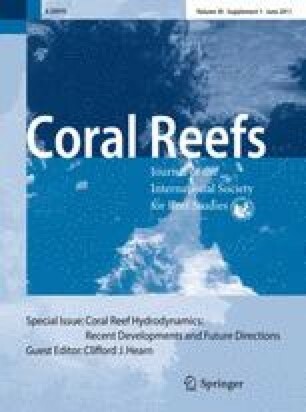 We found that both the temporal and spatial variability in water temperature on the reef platforms is well predicted by a heat budget model that includes the transfer of heat at the air–water interface and the advection of heat by currents flowing over the reef. Using this simple model, we predicted the temperature across three different reefs to within 0.4°C on the outer shelf using only information about bathymetry, surface heat flux, and offshore wave conditions. The authors would like to thank A. Al Suwailem, Y. Kattan, H. Al Jahdali, W. Moazen, and Nageeb from King Abdullah University of Sciences and Technology (KAUST) for providing logistical and field support, C. Marquette, S. Elgar, L. Gorrell, and D. Ralston from WHOI for equipment and technical support, E. Paul Oberlander for the artistic rendering of Fig. 10, as well as three anonymous reviewers for their thoughtful comments. This publication is based on work supported by Award No. USA 00002/KSA 00011 made by King Abdulla University of Science and Technology (KAUST). K. A. D. was supported by a USGS postdoctoral scholarship at WHOI.